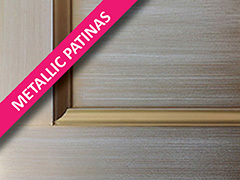 Patina is special product for decoration of furniture and other items in the interior made of solid wood, veneere and MDF. Using this kind of material, the natural structure and texture of wood are highlighted and rustic appearance of treated surfaces is achieved. Thanks to the wide range of different shades of patina with the possibility of making tone in colors according to customer preference, patinated items represent an ideal blend of old and new in furniture design. 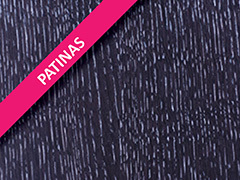 In application of these types of coatings emphasis is placed on the method of application and removal of the patina. Creativity in the application, as a result, provides a unique look of decorated surfaces and newfound artistic value. 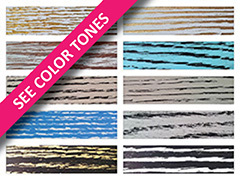 Fabbrica has begun implementing a new system for preparation of patina tones according to RAL color chart. This new system significantly expanded the possibilities for decorating surfaces in the interior. Professional Fabbrica team gave maximum effort to provide more opportunities to architects, designers, furniture manufacturers and interiorists. The path to the desired patina tone is now easier, and combinations of different tonalities for rustic look achievement are considerably more diverse.